More than 120 Northeast Florida small business leaders recently participated in JAXPORT’s inaugural Small and Emerging Business Appreciation Day. 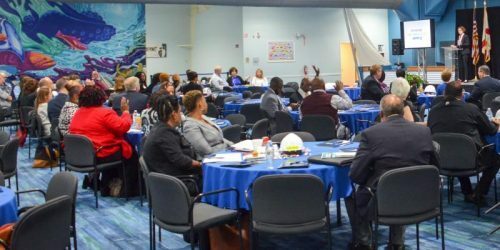 The daylong seminar was held at JAXPORT’s Cruise Terminal and connected area small businesses with valuable training and resources. Business development experts from the City of Jacksonville, Florida Small Business Development Council, Florida State Minority Supplier Development Council and other area public agencies were on site offering valuable insights and advice. Topics covered included how to access capital, tools for successfully growing a business, ways to maximize a business’s online presence and more. JAXPORT promotes equal access to all procurement contracts. During the past four years, JAXPORT payments for work by certified Jacksonville Small and Emerging Businesses (JSEB) have topped $21.8 million.